A young woman returns home five years after her best friend’s suicide. When they were 16, Emilia’s best friend, Andrea, committed suicide. Five years have passed. Now, Emilia is living in Buenos Aires when Andrea’s parents invite her back to their rural Patagonian town for a ceremony to scatter Andrea’s ashes. 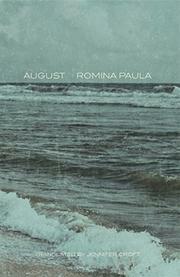 This is the first book by Paula, an accomplished Argentinian actor, director, and writer, to be translated into English. The novel is narrated by Emilia, who addresses herself directly to Andrea (referring to “you,” “your parents,” “your house,” and so on), and it is a lucid and vibrant account. In Buenos Aires, Andrea’s death had come to seem distant, even abstract; back in their hometown, however, Emilia is faced with the truth of the death and its permanence. But she is also faced with the other particulars of the life she left behind: her father with his new wife and new kids (Emilia’s mother left her family when she was a child); and Emilia’s former lover has moved on, as well. Emilia is a chatty narrator, and her account is crammed with pop-culture references, slang, mild cursing, and the kind of repetitive, obsessive thought processes familiar to anyone who's lived through their early 20s. You can practically hear her talking out loud. Here she is soon after her arrival at Andrea’s house: “Anyway, so dinner with your parents was great, albeit with me performing acrobatics the entire time in order to avoid or not broach certain topics. Basically they asked about my life in Buenos Aires, if I liked it, if I’d adapted, who I was hanging out with there…they asked if I was happy with my job, and here I edited a little bit and told them just about the good stuff,” and on, and on. It’s an engaging, frequently moving story, and its only fault is that we don’t hear more about Andrea and the specifics of her death. In contrast, there’s a great deal of focus on Julián, Emilia’s ex-boyfriend, which eventually becomes tiresome. Paula’s English-language debut is almost impossible to put down: moody, atmospheric, at times cinematic, her novel is indicative of a fresh and fiery talent with, hopefully, more to come.